I recently viewed a YouTube video by the late comedian, George Carlin, titled “Religion is Bullsh*t.” Click here for a transcript version. Sadly, Mr. Carlin is almost assuredly burning in Hell this moment, having died in his sins. 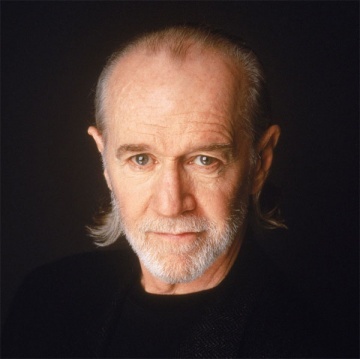 In John 14:6 Jesus plainly stated: “I am the way, the truth, and the life: no man cometh unto the Father, but by me.” Carlin was an open atheist, who plainly denied the existence of God. Unbelievers have always placed God on trial, demanding “proof” of His existence. Any honest person KNOWS that God exists... “For the invisible things of him from the creation of the world are clearly seen, being understood by the things that are made, even his eternal power and Godhead; so that they are without excuse” (Romans 1:20, King James Bible). “Let the wicked forsake his way, and the unrighteous man his thoughts: and let him return unto the LORD, and he will have mercy upon him; and to our God, for he will abundantly pardon. For my thoughts are not your thoughts, neither are your ways my ways, saith the LORD. For as the heavens are higher than the earth, so are my ways higher than your ways, and my thoughts than your thoughts” (Isaiah 55:7,8). If the Bible is true, and I believe It is 100%, then George Carlin died and went to Hell according to 2nd Thessalonians 1:8-9, because he refused to obey the Gospel. I didn't say that, God did. Carlin's video is compelling and he makes some really strong arguments why God doesn't exist; but he fails to mention all the reasons why we SHOULD believe that God exists. The very question of where life originated begs the existence of God. It couldn't have just happened. The very notion that the universe began with a Big Bang is absurd. How big is the universe? Can it have an end? If so, what exists beyond that boundary? The answer is impossible by all human logic and scientific evidence. Where did time begin? Can time have a beginning, or ending? How could there be no beginning of time? The only answer is God.